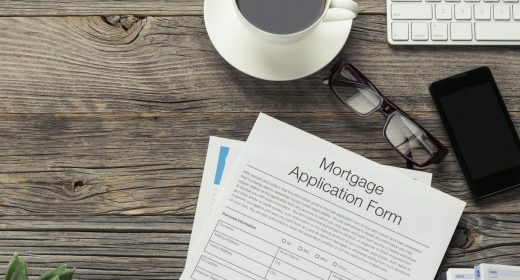 Over the past three years the number of 10-year fixed rate mortgages on the market has sky-rocketed a staggering 1450 per cent from just eight deals in January 2014 to 124 today, but are they a good option or is it better to fix for a shorter period? With so much economic uncertainty surrounding Britain’s exit from the EU and the future path of interest rates, some borrowers will take comfort in the prospect of fixing their monthly payments until 2027. While rates on 10-year fixes have started to increase, recently they still remain incredibly good value in historic terms. Research by Moneyfacts.co.uk, the price comparison website, found that the cost of the average 10-year fixed rate has come down from 4.17 per cent in January 2015 to reach a record low of 3.11 per cent in November. Since then, the average has risen slightly to 3.2 per cent today, although it remains substantially lower than it was a year a go. So, if you feel that a fixed-rate mortgage is a good option for your circumstance, it could be a good idea to snap up a deal soon, as experts predict prices are only likely to rise. Another factor to bear in mind is that mortgage arrangement fees can be as high as £1,500, so if you choose a short-term two-year fixed rate deal you could end up paying this fee several times over the course a decade, whereas if you take a ten-year deal you would only pay it once. However, it is not a decision to be taken lightly. If you face a change of circumstances or need to move property during the fixed-rate period, you might find it difficult to take your mortgage with you and could be left facing a hefty early repayment charge. Charlotte Nelson, finance expert at Moneyfacts.co.uk, says: “The 10-year fixed rate market has been improving for some time now, with lenders trying to muscle in on this new area of competition. She adds: “Borrowers must bear in mind that most 10-year mortgages require them to be tied to the deal for the full term, so it is vital that they weigh up whether they will need some flexibility in the decade ahead. Failing to do so could mean borrowers end up paying a hefty early redemption penalty. David Hollingworth, associate director at London & Country says: “As rates have been at rock bottom there’s a lot to be said for locking in at the low and fixing the mortgage rate. More borrowers have been keen to look to the longer term and increasingly consider the options over five years and beyond. “Ten-year deals have tended to be something of a niche area of the mortgage market for a couple of key reasons. “Firstly the rates are higher than short term deals which gives borrowers a dilemma over how much extra they are prepared to pay for the additional security. “Ten-year fixed rates are still slightly higher than their shorter term siblings but, as fixed rates plummeted last year, the margin narrowed which helped heighten interest. “Secondly, most ten year fixed rates will tie the borrower in for the full fixed term period. These early repayment charges can be significant, so borrowers need to be sure that they want to lock in for the full ten years. “Although the deals will usually be portable so they can be taken to a new property, the borrower will be reassessed against the lender’s criteria at the time so there is no guarantee that the lender will be able to offer any required top up lending or at what rate. Whilst many can look ahead to what the next 5 years may hold a longer-term horizon can be more difficult. “With more borrowers showing interest in fixing for the longer term the number of deals on offer has also grown, as lenders looked at alternative product options in an increasingly competitive market. However, as market expectation of a base rate rise sooner than previously anticipated has pushed up lender funding costs, fixed rates edged up at the back end of last year. It pays to do your research… I scoured the internet for best rates for a product that would not cost me up front for a five year fixed rate and one I could overpay without penalty. I considered longer term of 10 years but figured with careful planning I would be in position to clear mortgage within 6 years so 5 yr fixed was a better option. I went to a broker who could not find a better deal. If I hadn’t have researched myself would have paid thousands more in interest and a fee for not taking out insurance!! Buyer beware! !